Home loan balance transfer is an efficient tool to reduce the burden of EMIs. 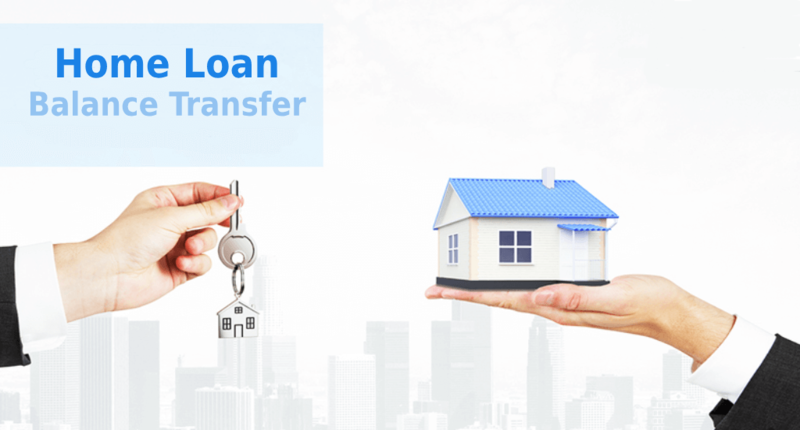 Balance transfer of a home loan takes place when the total unpaid principal loan amount is transferred to another lender such as banks or NBFCs (Non-Banking Financial Company) at a lower interest rate. Still, there are certain aspects that have to be kept in mind while you are making the balance transfer decision that is the Total amount of unpaid loan, the rate of interest offered & remaining duration to pay off the loan. Also, the balance transfer decision should be taken once you carry out proper analysis. The person should check out all the available options in the market, and choose the deal that is most appropriate for him, and the same can be helpful as a cost & time-saving option. You can carry out proper analysis online by signing on to afinoz.com. You can efficiently compare & plan your home loan or home loan balance transfer using home loan calculators. Let’s consider an example to understand home loan balance transfer. Rohan has availed home loan at 10% and there are 15 years remaining to pay balance principal amount of Rs 20 lakhs. If he decides to switch the loan to 9%, then in a year he would able to save Rs.14, 484 rupees and in 15 years, he would be able to save Rs. 217260 rupees. Sohan has also availed a home loan at 10% and there are 15 years remaining to repay the loan and also Rs 25 lakhs that is the unpaid principal amount. If he decides to switch the loan to 9%, then in a year, he would be able to save Rs18, 336 and he would be able to save Rs. 275040 rupees. If we assess both the cases, it is quite justified that home loan balance transfer is more advisable for Rohan & Sohan as they are having more outstanding amount pending & the switch can earn more savings for them. The home loan balance transfer is a time & cost consuming process, hence the person should take such decisions very carefully. The proper research regarding the entire process of home loan transfer, the documentation, liaison process, etc. are to be done properly. If the person is able to properly strategize, then he or she can save an enormous amount of money and funds by using the home loan balance transfer option. Home loan balance transfer is a viable tool because the tenure of the home loan is generally high and thus, if the borrower comes across any lender that can offer the loan at a considerably low rate of interest, then he /she can reduce the home loan burden to a greater extent. The person, who intends to go for the balance transfer option, should essentially carry out the cost & benefit analysis before opting for any option. One should calculate the internal rate of return (IRR) from the transfer as well. However, if the outstanding amount that has to be paid is less than a certain level, then it is not advisable for the person to opt for the home loan balance transfer because there is a possibility that a person may end up paying similar or even higher amount compared to the current lender. That ways it becomes a loss-incurring proposition for the person. At the same time, if the person is in the early stage of the loan, where the outstanding amount of loan is high, and the person is getting a better deal from the new lender, then the person should certainly opt for the new deal. Such deals can give the person relatively lower rate of interest that has to be paid for the loan. This can reduce the burden of the loan to a person and the cost savings can be done. Once, the rate of interest has been lowered as a result of Loan Transfer, it automatically helps to lower the monthly installments that have to be paid. This way, the financial budget of the person can be maintained in a better manner and the repayment of the loan can be easier without hampering the monthly budget of the person. With the help of home loan balance transfer, you can even repay the loan in relatively decreased tenure if you are able to manage & execute the proper financial planning. However, the terms & conditions must be checked properly before taking a decision in this regard. You can contact Afinoz to explore the home loan balance transfer options. The careful and appropriate decision can lead to getting advantageous fruits for you and you can enjoy the benefits of the same for the longer run. To avail best home loan schemes from different lenders, log on to www.afinoz.com or mail us at info@afinoz.com. We are here to serve you the best financial products without any hassles.